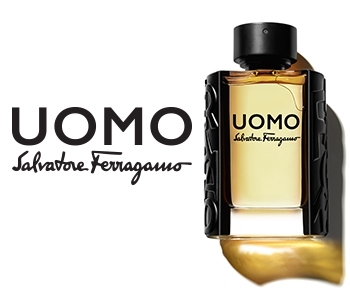 Salvatore Ferragamo Uomo is the fragrance of a compelling and sensuous man. A modern gentleman whose charisma invites others closer. His easy smile and abundant charm captivates all who he meets, and his oriental woody fragrance stays with them long after he’s left the room. Inspired by the inimitable Italian spirit, Ferragamo Uomo presents a timeless fragrance full of style. Built around the characteristically Italian note of tiramisu, Uomo elegantly crafts notes of orange blossom, black pepper, woods and ambrox to create an effortlessly modern aroma that encourages you to seize the day.